Smart Metering Systems plc is the leading independent provider of connections, metering, and automated meter reading services to industry and major utility companies in the U.K. In 2009, SMS made a strategic decision to transform its business from a customer service organization to a customer experience business. At the same time SMS introduced smart meter technology and data management services to its customer base, providing a valuable additional service at a very competitive price point. To accomplish this, SMS needed a partner to assist with connectivity design, implementation, and ongoing managed services. The company chose Stream Technologies to power its connected enterprise transformation. 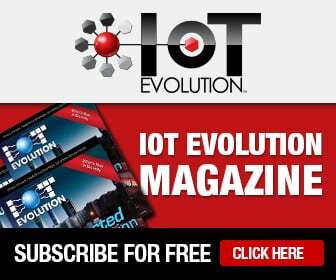 Stream Technologies simplifies complexity in global IoT and M2M connectivity. With more than 500 enterprise and SMEs spanning more than 25 sectors, Stream offers the widest available choice of wireless networks and technologies. I recently had an opportunity to visit with Nigel Chadwick, CEO of Stream Technologies, and Bill Turner, SMS managing director of data management, about the SMS IoT journey with Stream Technologies. What started SMS on this journey? Turner: When gas metering was deregulated in the U.K. that allowed us to compete in the gas metering market. At that point, the industry was split into separate organizations, metering services, new connections, and data services, but generally they were working as individual organizations. SMS could see that a business providing a strong holistic service could make a substantial change to the way in which the U.K. operated. When we found the team at Stream, they walked us through all the processes required to establish connectivity in the GPRS networks. The SMS design capabilities at the time were mostly in electromechanical systems, so Stream helped deliver a complete solution. So it’s not just about the technology, Stream also delivers value in that it works with you. Turner: That’s very true. It’s about the customer service, which is excellent. I don’t want to stray too far from the technology though. The Stream connectivity management platform is a great tool to use. Stream gave us and showed us how to best utilize its platform. The platform and Stream’s devotion to customer service has been excellent. How do your customers’ security and privacy concerns figure in the solutions Stream provides? Chadwick: Many of our customers like SMS are public companies, so security and privacy are imperative. Information comes straight from the connected device to the customer, and it is protected and encrypted the entire way. Stream assists customers in secure solution design, and the IoT-X platform is a major part of the end-to-end security. What are some of your customers’ other important requirements, and how does Stream address them? Chadwick: Many of our customers often have dual supplier requirements to reduce risk in the supply chain. Stream’s IoT-X platform allows them to support multiple networks and communication technologies, not just cellular, but including satellite, Wi-Fi, and low power radio, with one fully integrated solution.